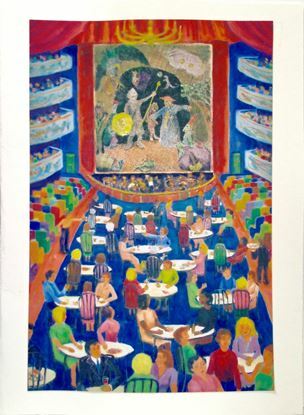 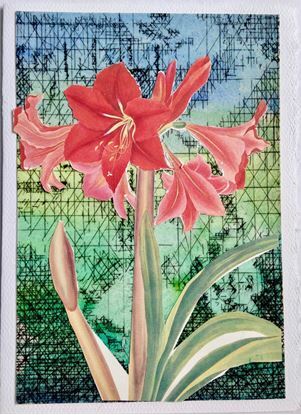 Hand made cards with images of art work. 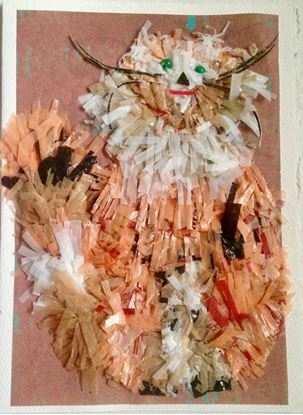 Grocery bags turn into cat on note card. 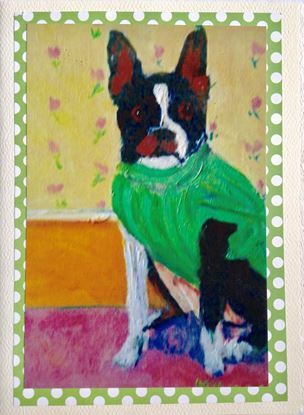 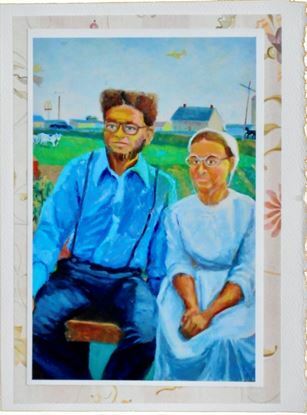 Note card with Photograph of oil painting. 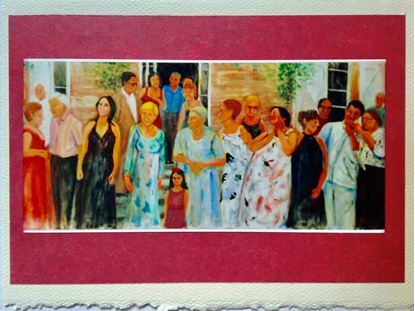 Note card with photo of painting of guests at French wedding. 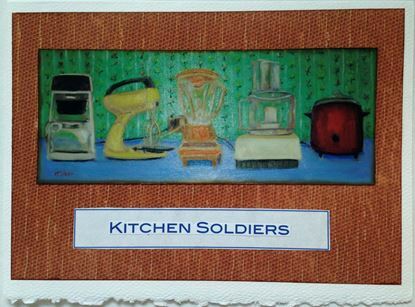 Note card with photo of painting of kitchen appliances. 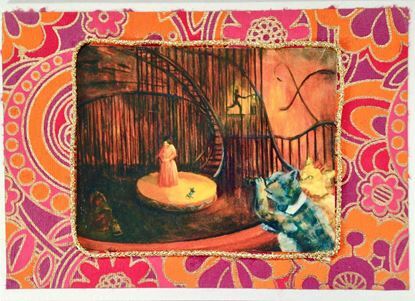 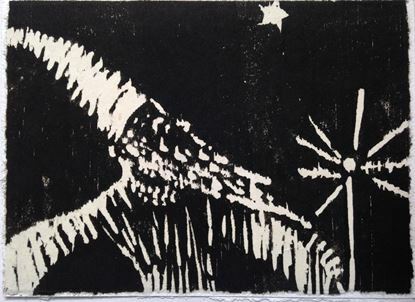 Handmade notecard with Amarillis cutout on etching.